Hands on experience with computer guided machinery. 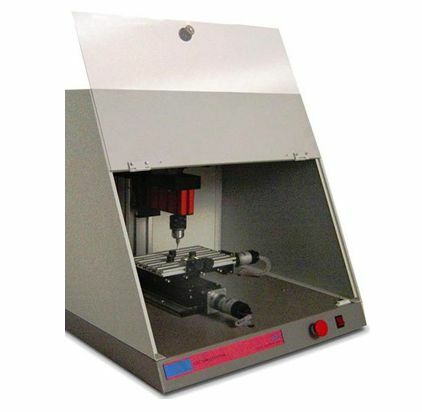 This unit introduces the student to the computerized numerical control milling machine, which provides technical orientation, which may help him choose his future career. This course covers the description of the system and its components, hardware and operation and simulation software as well as experiment exercises to develop step-by-step G-code programs. The understanding of the operation of the system and its programming requires a sound theoretical foundation that can be readily applied to developing and debugging G-code programs. The course can provide the essential basic knowledge with fundamental concepts and related subjects. Student comprehension is enhanced by performing practical experiments with the training system. If interested contact our specialist to customize this for your school.